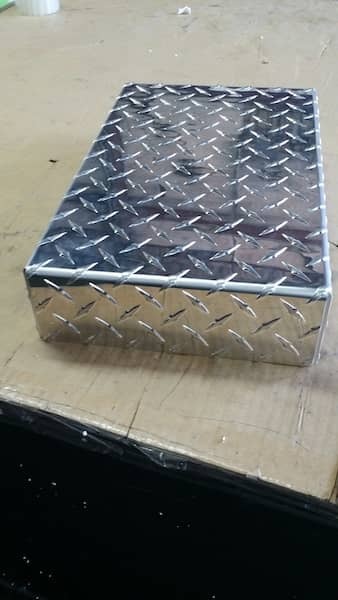 An aluminum diamond plate sheet metal is well known for its durability. 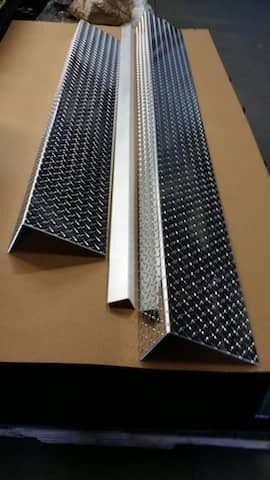 The diamond plate is also known as aluminum tread plate. It is one of the most used metal sheet types. It has a cross woven pattern which comprises of diamonds that are raised upwards on the metal sheet. 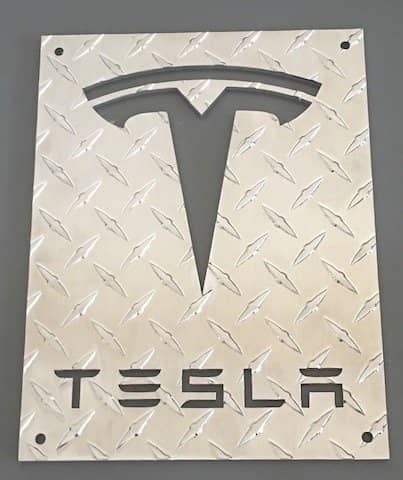 Aluminum sheet metal looks nice and is a popular choice when it comes to longevity and lightweight. Diamond plates are available in various types of materials. However, aluminum sheet metal is the most preferred type. It is non-slippery, tough, looks great and is very cost effective. 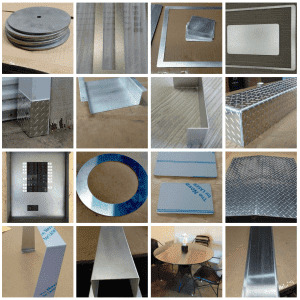 Aluminum sheet metal fabrication can help you achieve the desired shape of your sheet metal. 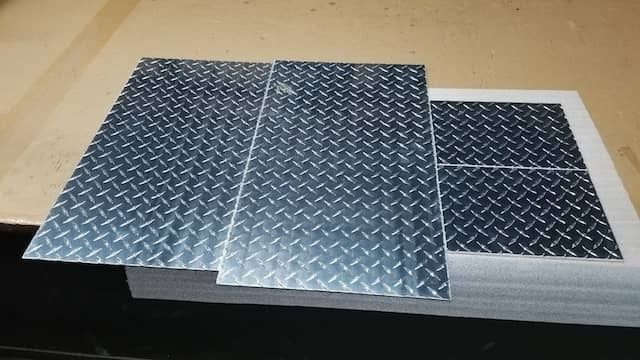 Due to this fact and its durability, it is highly preferable to install aluminum sheets in such places where wear and tear of metal happens quite often. Due to which the metal can lose its shine. to keep the shine . Here are some tips which will help in maintaining the shine of aluminum diamond plate. Cleaning the aluminum plate on regular basis is one of the primary steps you can do in order to make the metal maintain its shine and luster. When you are cleaning or washing the metal for the first time, you can test the detergent on a small patch of metal. This way it will ensure that the cleaner is not harmful to the metal. One should never use harsh chemicals or detergents to clean the metals. This might degrade the shine of the metal even more. During the cleaning process, the metal should not be soaked in soap or water for a long time. Instead, spray cleaning works wonders on aluminum. Just spray a sufficient amount of soap and water and wipe it clean. Using warm water for cleaning also helps to remove dust and restore shine. Once the cleaning is done, the next step should be to coat the aluminum sheet with a protective layer. Applying wax on the sheet will help in protecting the shine of the metal. This is due to the fact that wax does not allow debris to settle on the metal surface and thus maintains the shine. Coating the metal surface with wax will also reduce the amount of time you spend while cleaning the surface. However, the best way to determine how much cleaning is required is by looking at the condition of the metal. If the metal has already lost a lot of shine, some additional efforts might be required to restore the same and bring it back to normal. If the metal shine has worsened, specific cleansers and polishes must be used to bring them back to life again. These cleaners are specifically made for metals which have lost their quality. Now that you know about the crucial steps involved in cleaning and maintaining metal shine, it will be easy to incorporate the same. However, apart from the aftercare, it is important to make sure that the metal you are buying is of good quality. Metalscut4u.com deals in great quality sheet metal and strives to provide the best to their customers.